Even at first glance, the Bodymax T80 Treadmill already looks like it has a sturdy built quality. 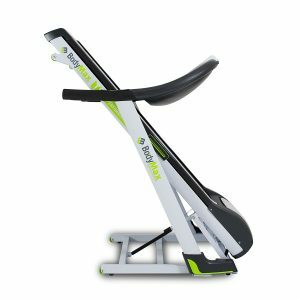 It may be at a higher price range compared to a lot of treadmills on the market; it definitely has a lot more features integrated. Aside from the fact that it has a powerful motor at 2HP, it also has built-in entertainments features and a lot more functionalities that can keep you motivated to work out. Take a closer look at the Bodymax T80 Treadmill and see for yourself why it pays to pay for a little more when it comes to home fitness machines. The first thing that any practical buyer would look at any product is undoubtedly its quality. If you’re one of them, you wouldn’t be disappointed with the Bodymax T80 Treadmill because it has a very impressive build quality. Its thick handlebars come with hand grip pulses to track your pulse rate as well as speed and incline buttons. It also has a telemetric heart receiver, and you can purchase a transmitter strap separately. Aside from that, this treadmill also has a powerful 2HP (2.75HP Peak) EnduraPro motor that can keep up with fast-paced running. Plus, it can accommodate users of up to 130kg which means its sturdy enough to be used by various people. The Bodymax T80 Treadmill has an 8-inch blue backlit console that isn’t only used to track your progress, but it also comes with 36 built-in workout apps. You can also adjust the speed with a range from 1mph to 11 mph (18kph), and you can also customise the incline levels up to a maximum of 15%. This treadmill also allows you to play your favourite workout songs because it has a built-in entertainment system with an AUX input and speakers. With a running belt size of 145cm x 47.5cm, the Bodymax T80 Treadmill will make you feel safe even when you’re already at a breakneck pace. It’s also very comfortable as it has a 6-piece patented deck cushioning system which is covered by an 18mm smooth run pre-waxed deck to prevent sliding. All these features will provide you with a comfortable and worry-free workout so you can maintain focused on your goal. Although the Bodymax T80 Treadmill is heavy, you wouldn’t have to about assembling and keeping it away because it features a SoftDrop mechanism. This means that hydraulics assist the treadmill, so it slowly drops when you open it and gently folds away. It also has built-in transport wheels both when it’s assembled and folded so you can easily keep it out of sight. The only problem I see with the Bodymax T80 Treadmill is that it’s still bulky even when it’s folded, but this is a common problem a lot of heavy duty treadmills as well. This can be an issue to those who have limited space in mind when it comes to building their home gym, but if not, then this treadmill will be an excellent choice. 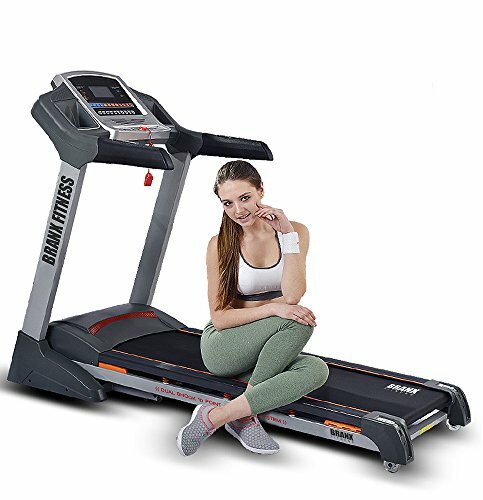 If you’re really willing to spend on a treadmill that will last a lifetime, the Branx Fitness ‘Elite Runner Pro’ Treadmill is ideal for you. It has a maximum user weight of 160kg, which is the strongest I’ve seen so far, and it can go up to speed of 23km/h. 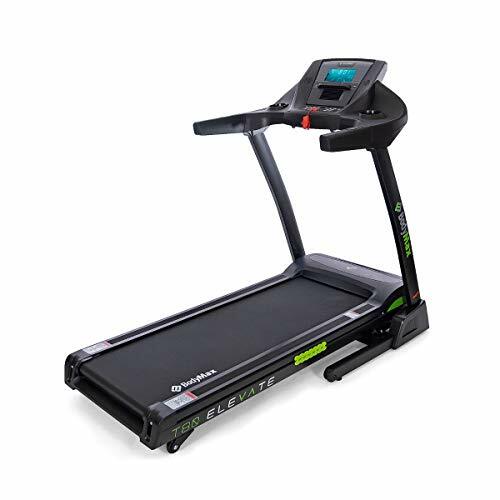 This treadmill is also packed with a lot of advanced features such as a touch-sensitive console, iPad compatibility, and entertainment function. It’s also very comfortable to use with a 10-Point shock absorber suspension system on the wide running surface. It may not fall under the budget-friendly range of treadmills, but it’s definitely reasonably priced. Branx Fitness ‘Elite Runner Pro’ Treadmill Detailed Review? CLICK HERE. You wouldn’t go wrong with the Reebok ZR8 Treadmill not just because it’s a world-famous brand, but because it’s integrated with lots of useful features. 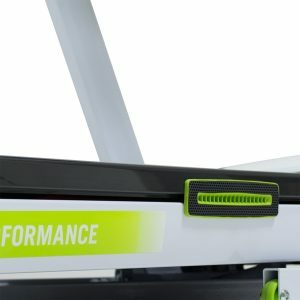 This compact treadmill features a unique ZigTech deck cushioning technology which reduces the stress in the glutes, hamstrings and shins by harnessing the shockwaves made whilst running. It has a 2.0HP continuous duty motor which can support a top speed of 16km/h and 15 incline levels. 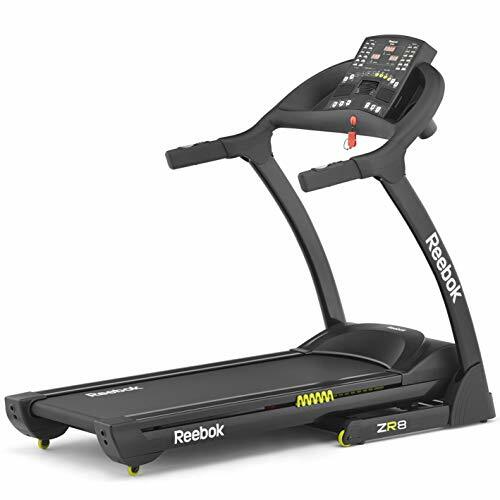 The Reebok ZR8 Treadmill has 31 workout programs, and it has dual speakers to add some music to your session. If you’re looking for a wider running surface, the NordicTrack C100 Treadmill might be the answer. It has a running area of 140 x 51 cm yet it’s offered at a mid-price range, and it has an impressive motor power with 2.75 CHP to a 3.5 peak horsepower. This treadmill is easy to use, and its “OneTouch” quick keys allow you to effortlessly adjust speed levels from 0 to 20 km/h and incline of up to 10%. 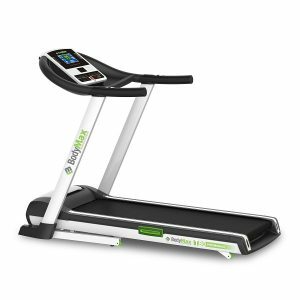 What sets this model apart from other treadmills is its FlexSelect Cushioning which doesn’t only provide a comfortable workout but can also give you a hard time, if you wish. With just a tap on the OneTouch quick keys, you can choose to have a softer surface that reduces the impact on your joints, or you can choose the more firm and stable running area which simulates the feeling of running on the road. The JLL S300 Digital Folding Treadmill is one the bestselling fitness machines on Amazon and I wouldn’t wonder why. 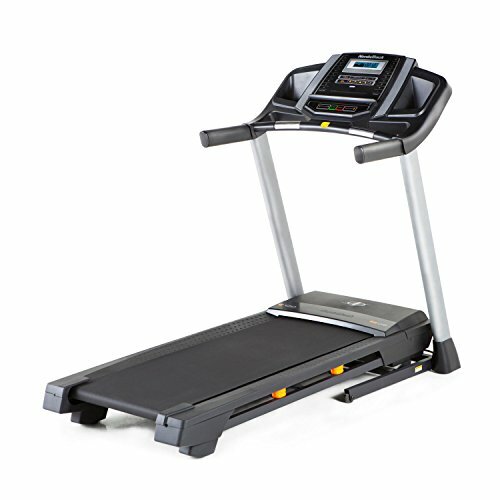 At an affordable price point, you would already get a quality treadmill with loads of features to keep you going. It has a 16-point cushion deck which lessens the impact on your joints whilst running and its top speed is at 16km/h. It has a slightly smaller running area with a size of 123cm x 41cm which is a good deal. 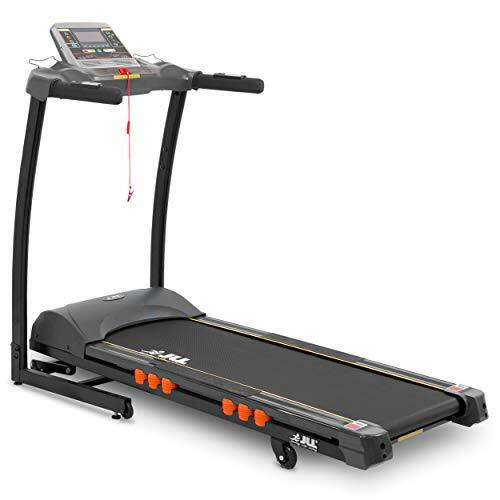 This treadmill also has a full entertainment system with high powered speakers, iPod/iPhone/MP3 connectivity and USB interface – all for a budget-friendly price range. 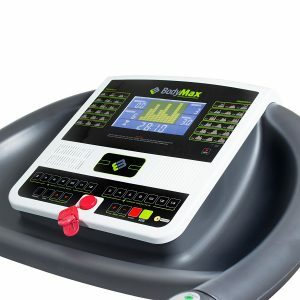 After a careful review of the Bodymax T80 Treadmill and comparison with similar products, I can say that it does give an unbeatable value for your hard-earned money. It’s a durable home fitness equipment that won’t only provide you with an effective and comfortable workout, but it will also keep you entertained. The Bodymax T80 Treadmill has ergonomic handlebars that can help you make the most out of every session. On top of that, you have 36 pre-programmed workouts to choose from so you can just hop on and start your workout.